Niel also mentioned Continental’s global road safety project, Vision Zero – a bold initiative to eventually reduce road fatalities, injuries and accidents to zero. Many people don’t realise that Continental is not only one of the world’s leading tyre manufacturers, but are also world leaders in safety technology such as ABS, EBA and ESC. In a local context, this may seem to be a pipe dream, but it’s definitely a dream worth striving for. As cars become more and more technologically advanced and safety features become standard across model ranges, we can reduce many of the risks we face on the road every day. I’ve been a road safety advocate for many years. My racing and drifting activities have made me very aware of just how dangerous our roads are, and I’ve been involved with The Road Safety Foundation and Women in Road Safety since 2011. I also earn my living in the trucking industry, so I know we have a mountain to climb in terms of improving road safety! Continental Tyre SA’s appointment of myself and well known motoring journalist, Vuyi Mpofu, as Ambassadors for Vision Zero is both an honour and a huge challenge – where do we start? We have a number of plans in the pipeline, but I think we have to lead by example – it’s not cool to treat the road as your race track. We need to work towards changing attitudes, raising awareness as to the risks people take with distracted driving, not modifying driving style to suit changing conditions, etc. 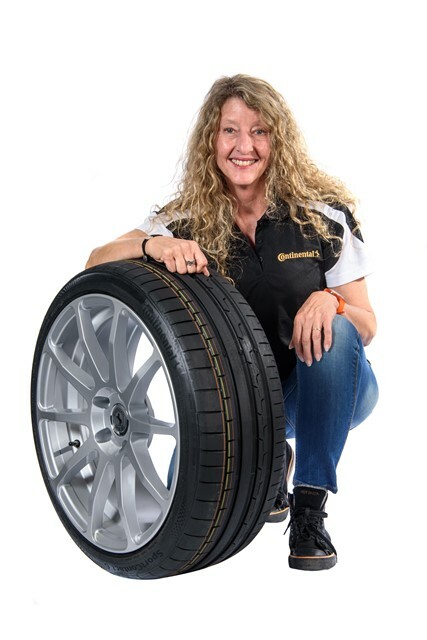 Vuyi already does a great job of advising women about cars and driving through her dedicated workshops, but we need to do more to educate drivers about the importance of good quality tyres, tyre pressures and tread depth, for example. As a racing driver, I know how important tyres are: new tyres can be two or three seconds a lap faster than tyres with just a few heat cycles in them. Grip is everything, especially in the wet. Tyres are equally critical for a road car when stopping, turning, or driving in the rain. New drivers often don’t understand how modern driver aids work. Safety aids such as ABS can be frightening when activated for the first time and more could be done to help prepare drivers for emergency situations. I recently completed the MasterDrive Defensive Driving course (one of the requirements for members of the SA Guild of Motoring Journalists), and it was a wake-up call to realise how easily bad driving habits are formed. Fortunately, I passed, but had a few anxious moments when the instructor frowned and made little notes on his report sheet! Sign up for the course if you have the chance – it’s an eye opener and will definitely improve driving skills. As Vision Zero Ambassadors, we have some hard work ahead – South Africa has a long way to go to achieve a reduction in road accidents, let alone get close to Zero. I’m grateful that we have companies like Continental SA, willing to tackle the problem “head on”, and will be working hard to make a positive difference in any way I can!